Much of the debate about Brexit has been focused on the Irish border and what it will look like after the UK leaves the EU. But Brexit will also have consequences for identity – specifically, the rights of British and Irish citizens in Northern Ireland after it happens. Identity has always been an issue in Northern Ireland that requires delicate handling. 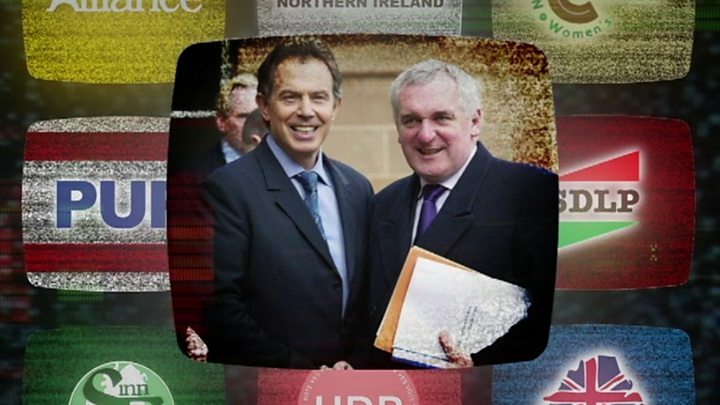 The 1998 Good Friday Agreement helped to smooth things over, by giving people the opportunity to identify as British, Irish or both. But Brexit makes that much more complicated again. Easy to use WP security plugin makes it IMPOSSIBLE for hackers to LOGIN to your money site.. Add more security layers in 60 seconds! Anyone born in Northern Ireland has the right to identify as Irish or British or both, thanks to a peace deal, known as the Good Friday Agreement, signed in April 1998 by the British and Irish governments and Northern Ireland’s political parties. It helped bring an end to decades of violence between Catholics and Protestants, and gave all citizens the right to hold both British and Irish citizenships, meaning they could also have British and Irish passports. The EU and UK have said that won’t change after Brexit. Since 1998, tensions have mostly subsided and it was largely felt that people in Northern Ireland had the best of both worlds because they could choose their identity, without impinging upon the constitutional status of Northern Ireland. But Brexit puts question marks over the rights that Irish citizens in Northern Ireland should retain, given Ireland’s EU membership, and what rights British citizens in Northern Ireland could lose, as a result of no longer having EU status – if a withdrawal deal is not reached that includes arrangements to maintain the status quo. How has the issue been addressed so far? Rights for Irish citizens in NI were first mentioned in the December 2017 joint report drawn up by UK and EU negotiators. It said: “The people of Northern Ireland who are Irish citizens will continue to enjoy rights as EU citizens, including where they reside in Northern Ireland. But a second draft text, published in March 2018, saw the key phrase, “including where they reside in Northern Ireland”, removed. Instead, a more ambiguous reference to EU rights for Irish citizens in Northern Ireland appeared in the preamble of the agreement – but preambles to treaties are non-binding. In the “legally operable” section, the UK committed itself only to ensuring no diminution of rights as set out in the Good Friday Agreement. What does the draft withdrawal agreement say? The agreement, published in November 2018, is also vague. It adds that the Northern Ireland protocol “should respect and be without prejudice” to EU rights for those “who choose to assert their right to Irish citizenship”. But remember, the withdrawal deal still has not been agreed because of opposition in the House of Commons to the Irish border backstop – the insurance policy to maintain an open border on the island of Ireland unless and until another solution is found. Some human rights groups in Northern Ireland are concerned that a no-deal outcome could leave people who identify as Irish or British, disadvantaged in different ways. So, what are the issues of concern? The Northern Ireland Human Rights Commission (NIHRC) claims people who are British in Northern Ireland could be “left behind” those who identify as Irish. 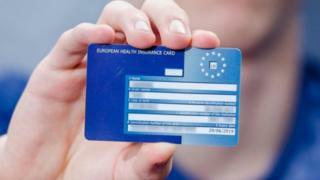 Its commissioner, Les Allamby, cited the European Health Insurance Card (EHIC), which allows people in EU countries to avail of state-provided medical treatment if you fall ill or have an accident in EU countries or other countries like Norway, which are signed up to the card. Mr Allamby said Irish citizens living in Northern Ireland may still be able to use their card, but British citizens will not. 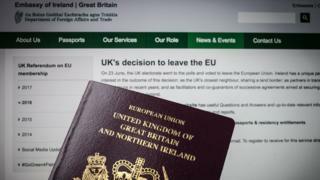 Irish passport holders are not sure if they will have these rights continued after Brexit either. “The UK government want it to be retained by everyone, in our view we have to find a way of everyone being treated equally in Northern Ireland, whether they’re British, Irish or both,” said Mr Allamby. The Committee on the Administration of Justice (CAJ) goes even further. Its deputy director Daniel Holder said problems his organisation identified had pointed to the need for a special status for people in Northern Ireland, not just goods. “Many people think if they have an Irish passport they’ll be alright, but it’s not just about freedom of movement (across the EU),” he said. Mr Holder pointed to other areas including whether Irish citizens in Northern Ireland would still be able to study in EU countries, without paying a higher non-EU fee. He also referenced the EU settlement scheme, which allows EU citizens to stay in the UK after Brexit. 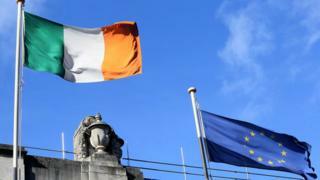 When it was announced, the British government said people from the Republic of Ireland will not need to apply for settled status – but can do so if they wish. Mr Holder said he was concerned that the Home Office could seek to reject applications from Irish citizens living in Northern Ireland, who would be applying in order to access rights for EU citizens. He argued that, in the past, the Home Office had treated some NI-born people as British, regardless of their choice under the Good Friday Agreement’s terms – and that it could get worse after Brexit. Workshops for people who work in voluntary and advice sectors in Northern Ireland on these very issues are due to take place in March. Are people already being impacted? One case that has drawn attention before Brexit has even happened is that of Emma De Souza. 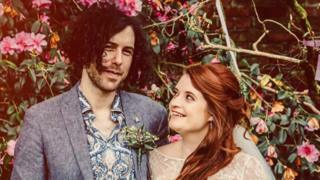 The Magherafelt woman found herself involved in a legal battle when an application for a residence card for her US-born husband was rejected. The Home Office initially said no in December 2015, as it deemed she was British, despite the fact she has never had a British passport. She challenged the decision and won, but the Home Office is appealing and the hearing has been put back until after the UK is due to leave the EU. She fears Brexit could make the outcome even more uncertain. What about some voting rights? That is an issue Sinn Féin has picked up on. It wants Irish citizens in Northern Ireland to be able to vote in European elections after Brexit, something the Irish government has already said it will not do. After Brexit, the Republic of Ireland will see its number of MEPs rise from 11 to 13 as the seats lost by the UK are redistributed. At present, any Irish citizen living abroad cannot vote in elections, so in order for Irish citizens in Northern Ireland to have a say in future polls, the Irish government would need to change its electoral laws. Sinn Féin has argued that not amending the law amounts to a democratic deficit – but the Irish government has rejected the claim. What is the Irish government’s view on all of this? The Irish government pointed to the commitments set out in the withdrawal agreement for protecting the rights of Irish citizens in NI. But, it admitted “further engagement” is needed on exactly which EU rights, opportunities or benefits can be exercised by people in NI who are Irish, and therefore EU citizens, after Brexit. 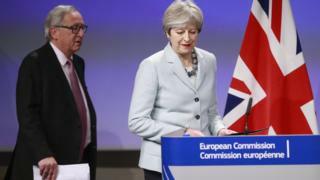 “The negotiations on the future relationship of the UK with the European Union will be an important factor in this regard,” it said in a statement. What has the British government said? In a statement, the Home Office said there was an “unwavering commitment” to upholding the Good Friday Agreement, including its provisions on citizenship and identity. Earlier in February, the prime minister visited Belfast and said she had asked the home secretary to review cases concerning Irish citizens in Northern Ireland, who have had difficulties bringing in family members from outside the EU. At this moment, that’s not clear and depends on the deal the UK reaches with the EU, if one is reached at all. An EU source said arrangements for co-ordination and reimbursement of health treatment costs between the Republic of Ireland and the UK may continue to apply for those citizens not covered by the withdrawal agreement. But nothing is set in stone, with much relying on what happens in the weeks ahead.